air to build her separate blood. 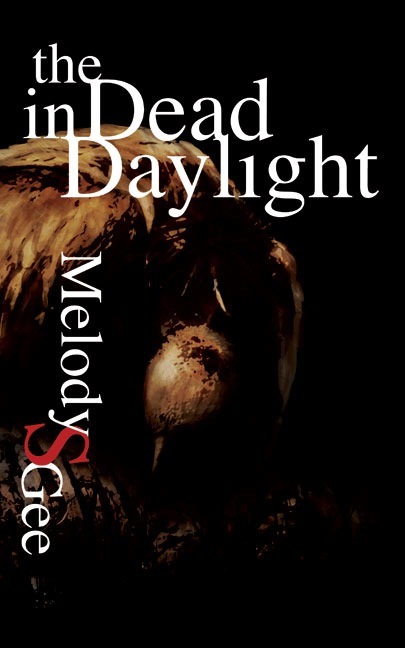 In Gee’s latest collection, The Dead in Daylight, bodies break. But they do more than break; they tear, burn, cut, and swell. Sometimes, in the case of motherhood, they swathe and mold other bodies, or they fail to conceive but still nurture a child begot from another woman’s blood and bone. This collection questions what it means to be mother and what it means to be daughter—how to fill not only the physical roles of such titles but also the idea of them. How can one be separate and a continuation of the maternal? What does it mean to be born? Gee’s poems are sharp, the lines tight, and the language simple but poignant as the speaker muses on lineage. In the compact lines of “Gravid,” the speaker meditates on her child in utero: “You swim in me to feed and breathe. / The gulps of fluid in your lungs are / your lungs. Into them: what has / already traveled me.” Or, in the terse bluntness of “Go Back, Make Ready,” the speaker confronts the maternal body as vessel: “The mother who received me / long called herself empty. / She filled me up with soup and meat, / filled herself with who I was / supposed to be.” Gee remains a master of lexical economy while generating a tide of emotional currency behind familial relationships. she brought me there to help her look. and we are both immigrants now. This passage encapsulates all the complexities of inherited history in both of body and land, what we are made of, what we chase, and what we claim. The speaker addresses her mother’s own search for her understanding of the past and the quest for her dead father’s ghost in her ancestral land. The speaker also acknowledges her own foreignness to her mother’s body as having not been born from it but as journeying across the ocean to meet her. The beauty of this relationship between mother and daughter remains in the shared role of stranger and becoming new. Both have immigrated to a new land. Both have pushed the boundaries of what it means to give birth and be born. In these lines, woman and child travel a metaphorical watery womb, one arriving and one waiting for the other’s arrival (much like a gestational birth). They emerge on the other of the ocean, at journey’s end, as mother and daughter. The speaker is not born of her mother but rather born with her mother. just to speak to strangers. The ocean and the boat are symbols of the fluidity the speaker accepts. The speaker allows for a state of emerging—there are many ways to become mother, and there is more than one way to be a daughter. Everything about the roles we accept are active. The speaker’s mother in the above lines remains open to questioning her past, her land, and her language, as they are something she can return to and something she has evaded with time and physical distance. The mother can don a disguise and be nothing more than a “name tag and hat” to hide from who she is “supposed” to be. Gee’s poems acknowledge that there is no “what we are supposed to be,” but only what choose to be. “I was born and now I am open. / I am the sum of some breaths[,]” the speaker avows in “Go Back, Make Ready.” Openness is central to this collection; there is only the totality of breathing. There is a willingness to adapt, to forge for yourself the person you want to be, to be present and be born. Trista Edwards is currently a Doctoral Fellow in English at the University of North Texas. Her poems and reviews are published or forthcoming in The Journal, Mid-American Review, 32 Poems, Birmingham Poetry Review, The Rumpus, Sou’wester, Moon City Review, and more. Trista is currently a contributing writer at Luna Luna Magazine and she recently edited the anthology Till the Tide: An Anthology of Mermaid Poetry, which was released early 2015.